The latest draft of beer legislation in Texas has left a bitter taste in the mouths of some craft brewers. 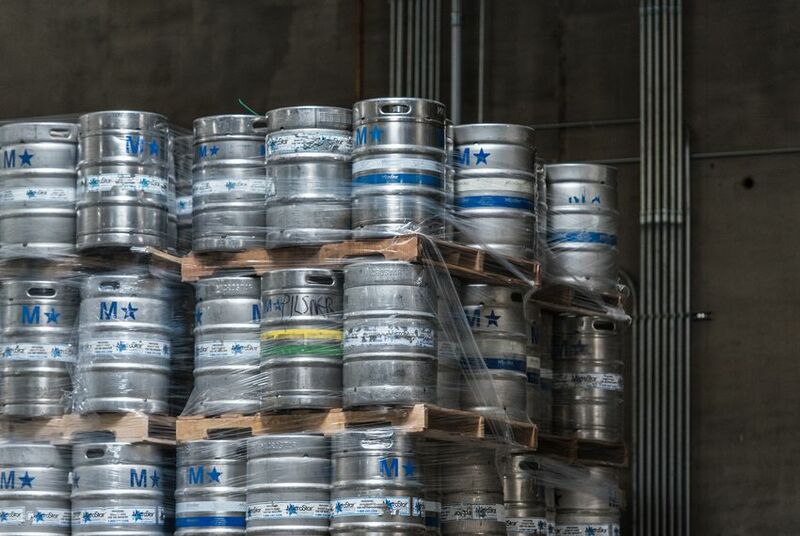 House Bill 3287, which lawmakers passed during their regular legislative session earlier this year, requires craft brewers that produce more than 225,000 barrels per year to pay a distributor to deliver their beer — even if the destination is inside their own facility. Proponents of the legislation say it will maintain the state’s three-tier system — Prohibition-era regulations that legally separate brewers, distributors and retailers — and properly regulate large companies that purchase craft breweries. To opponents, though, the law targets newer craft breweries across the state, discouraging investment in their businesses while protecting larger and more established beer companies. Oskar Blues Brewery, a Colorado-based company that operates a tap room in Austin, is one of few — perhaps the only — craft breweries in Texas large enough to fall under the new law’s provisions. And while Chad Melis, the marketing director for Oskar Blues, says “we’ll continue doing what we’re doing” despite the new law, others fear it could have broader effects. “Even though the bill would only initially impact a few breweries, we felt it took away economic value,” said Charlie Vallhonrat, the executive director of the Texas Craft Brewers Guild. The law's new upper limit on what craft brewers can produce before they have to pay distribution fees could discourage investment in the companies, he said. "It scares off investors," he said. The law is the result of a regulatory battle that has fermented since 2013, when the Legislature passed a series of bills aimed at helping small craft breweries by allowing them to sell up to 5,000 barrels of beer a year in-house at their own tap rooms or beer gardens. Giving them permission to be both brewers and retailers was the largest regulatory change in decades and injected new energy into a budding craft brewing industry in Texas. But the reforms also created a loophole that supporters of HB 3287 say needed to be closed: national or multinational beer companies began buying Texas craft breweries, taking advantage of incentives intended for small craft brewers to skirt the state’s three-tier system. But Vallhonrat says craft brewers weren't asking for any help from distributors, who he charges will benefit most from the new law. Carve-outs written into the law allow three craft breweries recently purchased by larger breweries to avoid the 225,000-barrel cap: Karbach in Houston, bought by Anheuser-Busch InBev; Revolver in Granbury, purchased by Miller-Coors; and Independence in Austin, bought by a Heineken-owned subsidiary. But even though it's the lone brewer affected by the law, Oskar Blues says it's staying. “We were drawn to Austin because we loved the growing craft beer scene there. The live music scene and the outdoors scene and the rebellious nature of Austin in general — that local passion doesn’t really change,” Melis said. Disclosure: The Beer Alliance of Texas, Independence Brewing Company, Rick Donley and Anheuser-Busch have been financial supporters of The Texas Tribune. A complete list of Tribune donors and sponsors is available here.